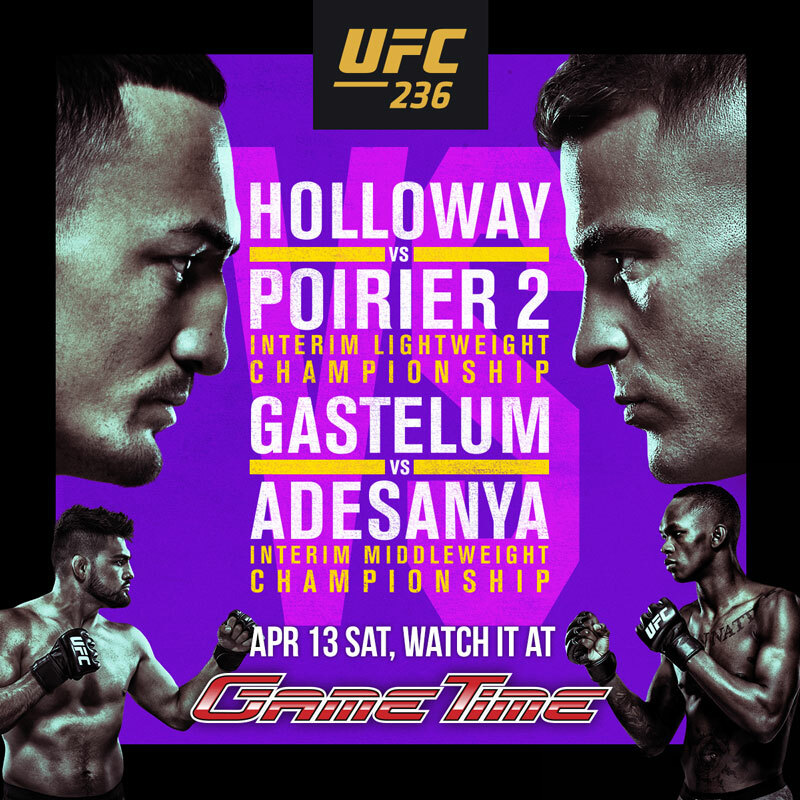 Get to GameTime to watch Holloway vs Poirer 2, Gastelum vs Adesanya live on April 13th! Watch the fight on over 60 HDTVs throughout the Restaurant & Sports Bar and enjoy a great menu, cocktails and cold brew. No reservations, NO COVER, first come first serve. Prelims start at 8pm so get there early. Your entire party must be present to be seated. Click below for location details. Watch It! Play It! Win It! It’s GameTime!